When you have cheeks like these, you need something to balance out your top half. 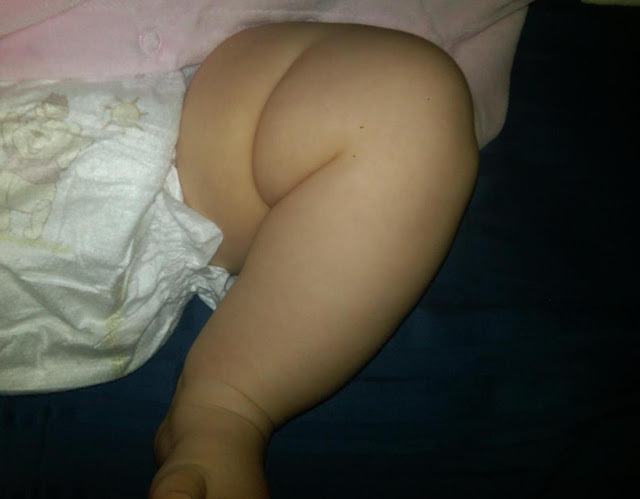 And so you better believe that Alexandra has some meaty thighs to match her chunka chunka cheeks. It's all about proportion. As her Uncle Chip likes to say, "That girl has Larry Csonka thighs." HA! When the picture first popped up I thought it was a picture of her bottom with one of her legs going down. Then my eyes focused and realized it was her leg. My daughter had the same proportions. It was hard to figure out which fold of fat to put the diaper on when changing her. Remind me to never let Chip see me in a bathing suit.